What can one do with leftover mashed potatoes? 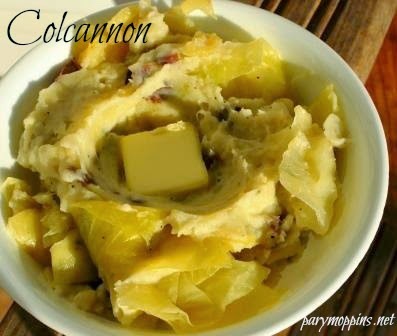 If you are familiar with British food then you make Bubble & Squeak or Colcannon from the mash and cabbage. I thought it was an impossibility, but I actually over-salted my mashed potatoes the other night. That was a travesty since we love mashed potatoes and I don't make them very often. We counted it as a huge loss. Yep. We were that sad about messed up mashed potatoes. I kept the leftovers anyway because, well, wasting food makes me angry and I'm so glad I did. A few days after the tragic potato mishap, I made mushroom soup, which was good, but needed something extra - like salty mashed potatoes! I added the potatoes to the soup and it was perfect! No waste here. Nuh-uh. No ma'am. What do you do with your leftover mashed potatoes? *What's the difference between Shepherd's and Cottage Pie? Shepherd's Pie uses ground lamb and Cottage Pie uses ground beef. **For portion control, scoop potatoes into a muffin tin and flash freeze. Pop them out and put them in a freezer bag. It gave it a lot more body and texture for sure.